The Trans Canada Trail with support from Canadian Heritage has a goal to connect The Great Trail and the country for a grand celebration on August 26, 2017. Communities across Canada will be celebrating the full connection of The Great Trail and Canada’s 150th on the same date. 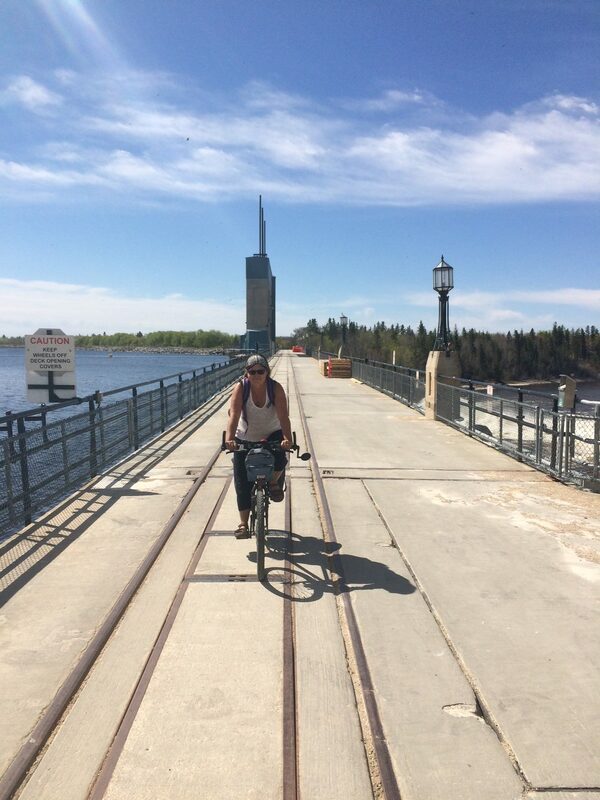 The Pinawa and Lac du Bonnet Trails Associations are pleased to announce that our sections of the Great Trail are completed and connected. On Saturday, August 26th we are joining together at our connection point, the Pinawa Dam Heritage Park, to celebrate along with the rest of Canada. Our committee has been busy planning for months. The Trans Canada Trail has awarded both trail groups a grant to throw a party, and we intend to throw one. We have rented a bus for the day to take hikers around to different sections of the trail systems. Our goal is to fill the trails with people, all ages, all abilities and all trail uses. Hike, cycle, run if you like – some or all of our beautiful trails. The bus will give you an opportunity to hike some parts of the trail that would have been inaccessible without some vehicle support. You just need to be back at Pinawa Dam by 3 PM. A detailed bus schedule will be posted closer to the event. The Pinawa Stage Band has been confirmed for entertainment while the food truck(s) feed us. We will have a ribbon cutting ceremony at 4 PM, followed by more music. I will be guiding a hike of the entire Pinawa Trail system. My group will meet at the Pinawa Dam Heritage Park at 7:30 AM and catch the bus to the Seven Sisters Hydro Generating Station. Our walk will be 27.5 km and take us about 7 hours (with a one hour planned lunch stop in Pinawa). For more information on this see my blog post http://traillady.com/pinawas-great-trail/. The bus will be available, and with any luck somewhat timed, to allow hikers to drop off or join us at a couple of stops along the way – the Pinawa Marina and the Suspension Bridge. 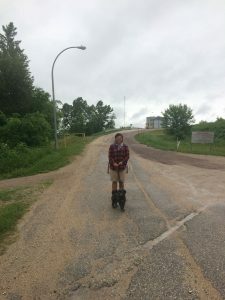 The Lac du Bonnet Trails Association will host an 8.3 km hike from Pinawa Dam to Tower Road and vice versa, as well as shorter hikes varying in distance from 1 to 7 kms. Those of you wanting to cycle to the event should feel free to make use of the bus but please note that the bus cannot transport bicycles. You can use it for getting yourself to a trail-head. 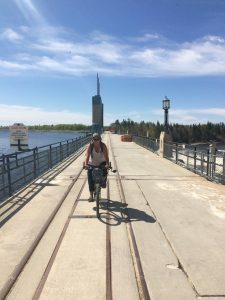 Cycling the whole Pinawa trail is about a 3 hour trip. We can’t host this event alone. We are going to need an army of volunteers. If you would consider volunteering, please let us know. We’ll feed you and even give you a free commemorative t-shirt. It’s really great to be a part of something this big – the largest national trail in the world. We also really need to know how many people to expect, and in what activities you are interested in. Please submit the form below. If you have any questions, send me an email donna@traillady.com.